The Center for Robot-Assisted Search and Rescue (CRASAR) was established in 2001 to foster unmanned systems being effectively used by formal emergency management agencies through voluntary national and international activities that deploy, promote, train, document, analyze, and disseminate scientific knowledge, making it the oldest institution dedicated to unmanned systems technology for public safety. CRASAR is a nonprofit corporation organized for exclusively charitable, scientific, and education purposes. CRASAR was originally established by LTC (ret) John Blitch on September 2, 2001, under the auspices of NIUSR (National Institute for Urban Search and Rescue). 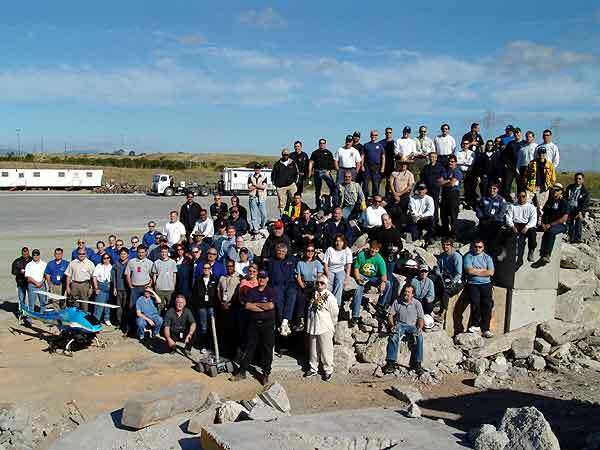 CRASAR participated in the WTC response- the first reported use of robots for life saving response and mitigation- deploying robots on Towers 1 and 2, Building 4, and other areas from the early morning of 9/12/2001 through 10/2/2001. In 2002, CRASAR became a center within the University of South Florida with Dr. Robin Murphy as director. The center moved to Texas A&M in 2008, with Murphy remaining director. CRASAR formalized the Roboticists Without Borders volunteer program that provides unmanned system experts trained in emergency and equipment to agencies. It 2018 CRASAR was spun off from Texas A&M as a nonprofit. CRASAR is now governed by a board of directors and membership, with Justin Adams as President and Treasurer, Robin Murphy as vice-president, and David Merrick as executive secretary.